What an incredible journey: Growing up with a mother who doesn’t support you is a really tough challenge and one that many fail to survive. 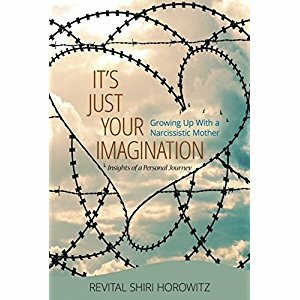 Shiri-Horovitz tells her own story with the intellect and precision of an analytical and reflective person, vulnerable but not a victim; well, clearly a victim of circumstances but not one to merely point the finger and just sit back and feel sorry for herself. Inspiring at times, painful at others, refreshingly honest, informative and helpful are some of the words that spring to mind. Something that has the potential to help thousands of people and an amazing journey that is compelling to watch. Having read the author’s other books it’s great to hear her own voice in a biographical context. I had no idea there had been so much pain and struggle in her life. All the more reassuring that people can pull through, as she did. Whether your own mother was narcissistic or maybe someone else’s was, there is something to learn from this for everyone. Thanks for sharing your story, which can’t have been easy. Nice review of this book and I agree. 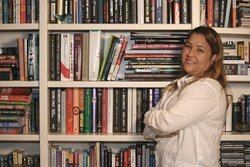 I’m inspired by her insight and encouraged by the knowledge of her survival. Thanks for sharing my review of your book. What an excellent and important work. Thank you for writing it! And of course, thank you Chrisroph! Certainly sounds like a fascinating story, Christoph. It seems like a difficult subject to write about but something it appears this author did quite well. Thanks for an inspirational post as always!